I’m utterly shameless when it comes to Shelter Point. I thoroughly enjoyed their 1st Batch – finding it exactly right for an easy drinking yet interesting dram. Remarkable patience was clearly taken to not jump the gun, putting it out when it was actually ready to be consumed, unlike many new distilleries who pump out product before it is truly ready. Having shared the 1st bottle with the Whisky Ladies, it was time to give the folks in our original club a try… one member had even sampled it in Amsterdam and was thrilled to revisit. Finally a proper single malt!! We sighed in pleasure… delighted to be in our whisky ‘happy place’ with such a beautiful dram. Their tagline “Sunshine and sea air: unofficial ingredients in every bottle” has a rather apt homespun charm about it. We don’t disagree. This bottle was provided courtesy of the distillery… sent from British Columbia to my folks in Manitoba as it still isn’t available in that province yet. It is presumably from their 2nd batch as their 1st ran out last year! All I can say is – I’m a fan. Period. I’ve also been keenly watching some of their cask strength experiments and looking forward to another opportunity to try what they next create! 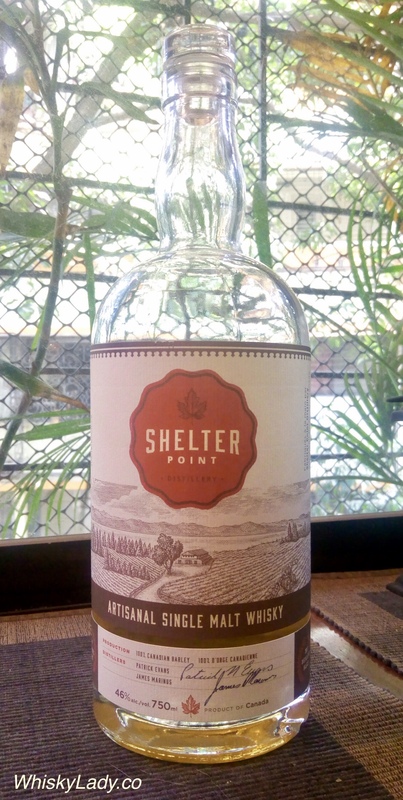 If you happen to be in BC and happen to be lucky enough to locate a bottle – grab it and enjoy it. What else did we have in our “O Canada” 150th Celebration? 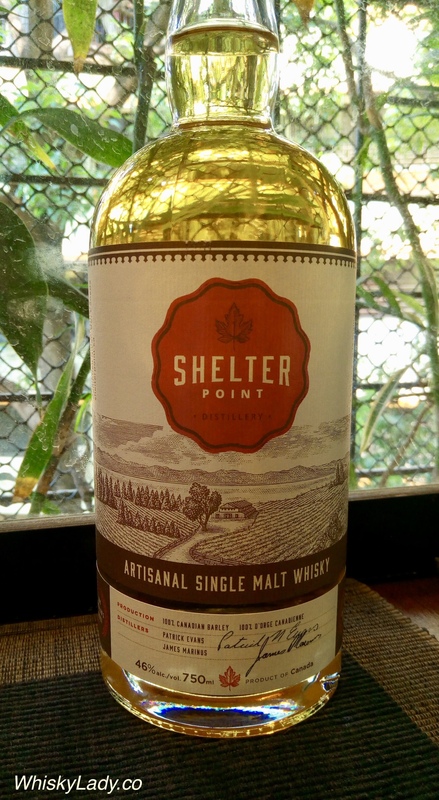 This entry was posted in Beyond Scotland, Canada and tagged BC, Canadian single malt, Shelter Point, Shelter Point Single Malt by Carissa Hickling. Bookmark the permalink.